We remove loose paint and rust in order to provide the fire escape with a precision paint job which will prevent future corrosion and uncalculated issues. Need some work on your fire escape? 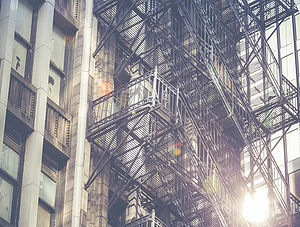 We specialize in fire escape inspection, repair/replacement and painting throughout the suburban and downtown area. Call us today at (630) 761-8004.